"Sad songs, they make me happy," Margo Timmins said midway through Cowboy Junkies' set on Wednesday night, one of her many references to sad songs throughout a performance that featured Junkies favorites like "Misguided Angel" and Lou Reed's "Sweet Jane." If you've been to a Junkies show, you know it can often go one of two ways: the guys and gal from Toronto can play a more uptempo rock set, usually set aside for festivals or crappy GA rock clubs, or they can take a step back and rattle off an evening of blues and mid-tempo selections from their vast catalog, which is what they decided to do in Portland. Personally, I have come to happily expect this from a Junkies show (especially at a seated venue like the Aladdin). If you are familiar with most of their songs, you know the themes: darkness with a touch of hope, murder, dreams, relationships gone sour. Basically, real life. For some, though, I would also expect that this could be too much to take in at a concert. Unless the Junkies bust out "Anniversary Song," which Margo Timmins often jokes about as the only time her brother, Michael, has written a happy song, you really get no "happy" break when they deliver a pulsing, bluesy set of tunes. It's pretty much a direct kick to the part of your brain where all the darkness lurks and will always exist. Last night's show in Portland mostly focused on the Junkies' wonderful new album, Renmin Park, their upcoming Vic Chesnutt cover album, Demons, the album that made them popular, Trinity Session, and a healthy dose of cover songs like Townes Van Zandt's "Rake" and Neil Young's "Don't Let It Bring You Down," which were both highlights. Renmin Park is a bit of an experiment when delivered live. Some of the songs are played along with the field recordings that Michael Timmins captured while in China, resulting in multi-instrumentalist Jeff Bird to accomplish many things at once, which he is used to doing, and doing well. 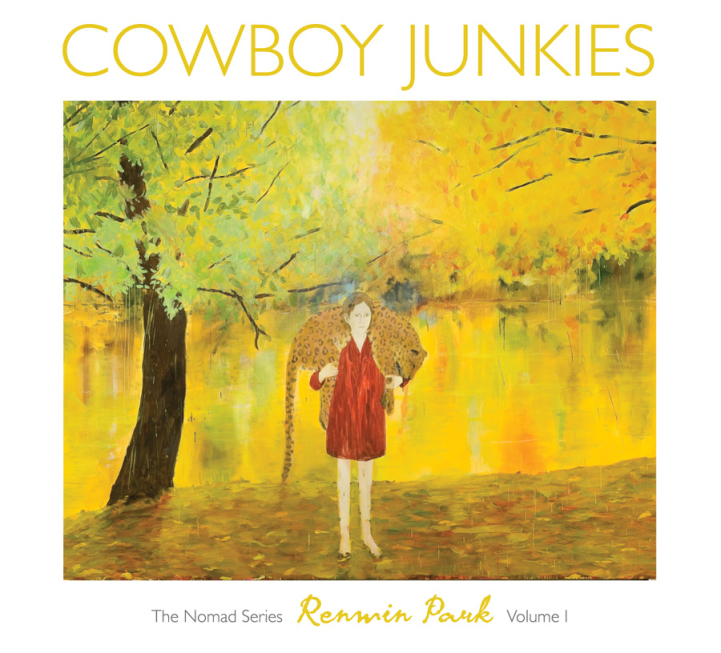 "Cicadas" and "Sir Francis Bacon at the Net" were the two that captured Renmin Park's organic beauty, while the title track was gorgeously delivered during the Junkies' short acoustic set. The tunes played from Trinity Session, outside of the aforementioned "Misguided Angel" and "Sweet Jane," were mainly what gave the set that dark, brooding feel. Waylon Jennings' "Dreaming My Dreams" was especially somber (Margo Timmins voice never sounded better), and the lengthy "Working on a Building" allowed guitarist Michael Timmins to stretch the sound of his fractured solos. His guitar work was also top notch during a psychedelic take on Robert Johnson's "Me and the Devil Blues." When the show concluded, I remained affected by "Hold On To Me," the only song of the night performed from Lay It Down, the most. Something about that tune sums up the Junkies live experience for me: they ask a lot of their fans - to go down dark and haunted roads, to trust that it will all work out in the end, and to always hold on to them, no matter the request. "I'll hold on to this gift we share, it is as slippery as it is rare." Can a gift be more beautiful or real?